VERONA – John Hunter Barker, of 9 Lee Street passed away Sunday (January 27, 2019) at his home. 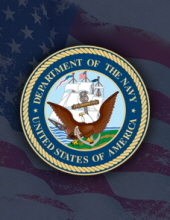 Born February 12, 1942 in Augusta County, Mr. Barker was a U.S. Navy veteran and was the son of the late Mark Woodrow “Jack” Barker and Annabelle (Clemmer) Barker. He was employed as a lieutenant in security at Western State Hospital and retired as assistant manager of Tiger Fuel in Charlottesville. Surviving are his faithful companion, Vicki (Marshall) Breeden, her daughters, Melissa Breeden of New Hope and Crystal Breeden of Churchville; four grandchildren, Kyler, Trenton, Brianna and Kaylyn Breeden. A graveside service will be held 11 a.m. Friday, February 1 in Union Presbyterian Church Cemetery, conducted by Rev. Pete Grimm. "Email Address" would like to share the life celebration of John Hunter Barker. Click on the "link" to go to share a favorite memory or leave a condolence message for the family.